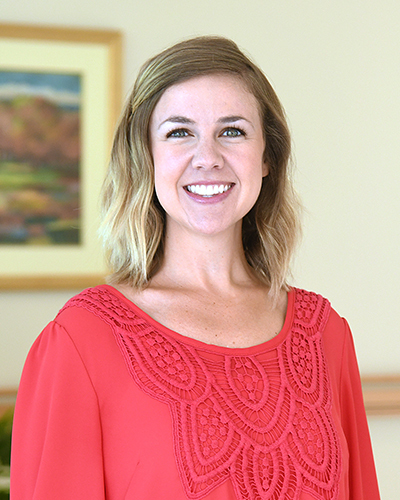 Leslie Smelcer, Au.D., is from Strawberry Plains, TN and graduated from the University of Tennessee, Knoxville with a Masters in Science degree in Audiology in 2010 and a Doctor of Audiology degree (Au.D.) in 2012. Leslie worked at a private audiology practice here in Knoxville from 2011 to complete her residency and continued on at that practice until May 2014. She joined our staff here at Greater Knoxville Ear, Nose, and Throat in May 2014. She is a fellow of the American Academy of Audiology. Leslie enjoys all aspects of audiology and currently performs diagnostic evaluations, electrophysiology and vestibular evaluations, and hearing aid evaluations and orientations at our office. Leslie is married to Matthew Smelcer and has two daughters, Ava and Scarlett. She currently resides in East Knoxville and enjoys spending time with family and friends.